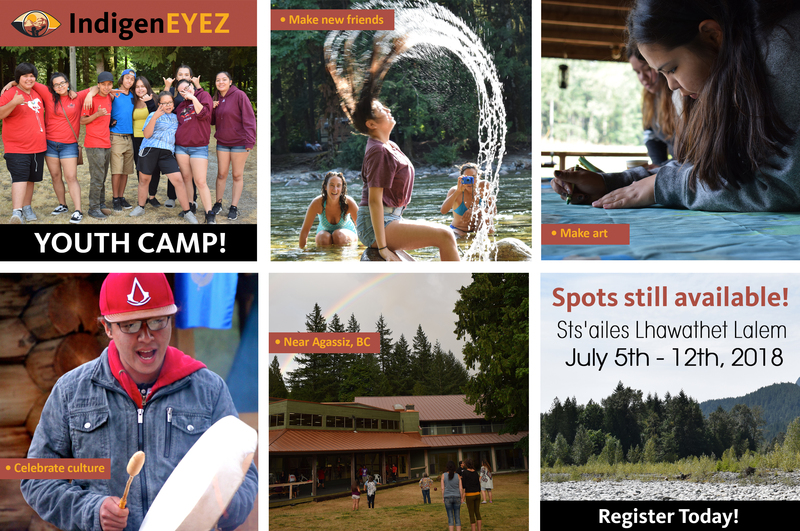 June 27, 2018—Cawston, BC: We’re counting down the days until Sts’ailes Lhawathet Lalem Youth Camp! July 5th – 12th, 2018. Don’t miss this exciting chance for youth age 14-18 – and for youth workers too! For anyone doing engagement with youth, this is a great opportunity to learn new methods. Our funders are paying the tuition. You just need to register.